Tomorrow we depart for Burma. It feels like this holiday has been a long time coming, but it’s timed perfectly. The garden is quietly going to sleep, and by the time we return the leaves will be falling and the prospect of frost will be a real one. The clocks will also have gone back, which introduces the conundrum of whether to change them before we go, or when we get back. I’ve done my level best to get the coastal garden ready for bed, but the wind and rain will probably create more work for our return. The very tender plants are all in, languishing in the warmth and light of a spare bedroom. I’ve also staked up the Echiums, which are unusually luxuriant this year and therefore guaranteed to keel over in the first gale. The London garden is full of debris from the building work and the only highlights are the hostas and the fig tree, both with leaves the colour of butter. After a year blighted by blanket weed, the pond is now as clear as glass and the goldfish are gliding around like fallen leaves near the surface. I’m always excited to be visiting somewhere new. I’ve only heard good things about Burma, a country fast emerging from the shadows yet still isolated enough to have some interesting foibles. If we have time in Singapore, we’ll visit The Gardens by the Bay, and in Burma I’m looking forward to the Botanic Gardens in Maymyo. They are among the most extensive in Asia, and will make a interesting contrast to those in Singapore, which I love for the riot of orchids alone. Burma’s Internet coverage is not what we’d enjoy in the UK, so I am trying to be realistic about how much I can post whilst I am away. And after all it’s meant to be a holiday. But, rest assured, if the opportunity presents itself The Frustrated Gardener will be checking in. Failing that, I’ll have lots to share on my return, so don’t go away! 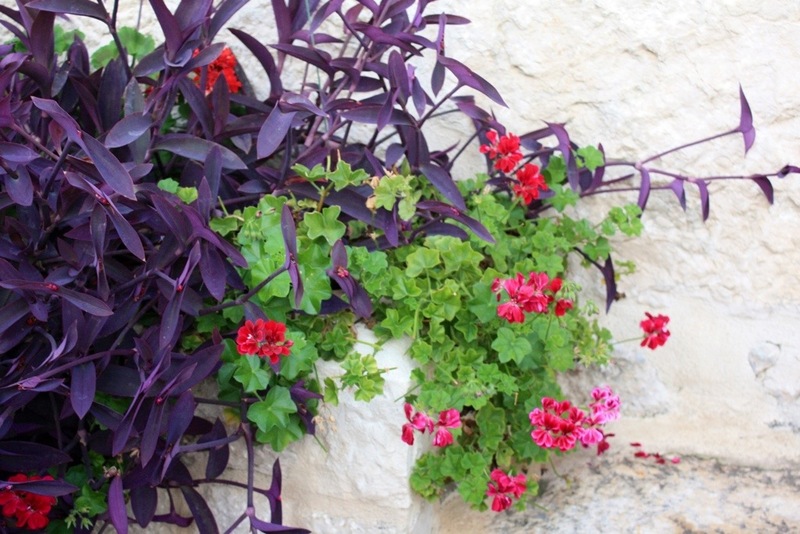 Holiday Snaps: Top, Tradescantia pallida “Purple Sabre” and trailing pelargoniums in Dobrota, Montenegro, Sept 2010. 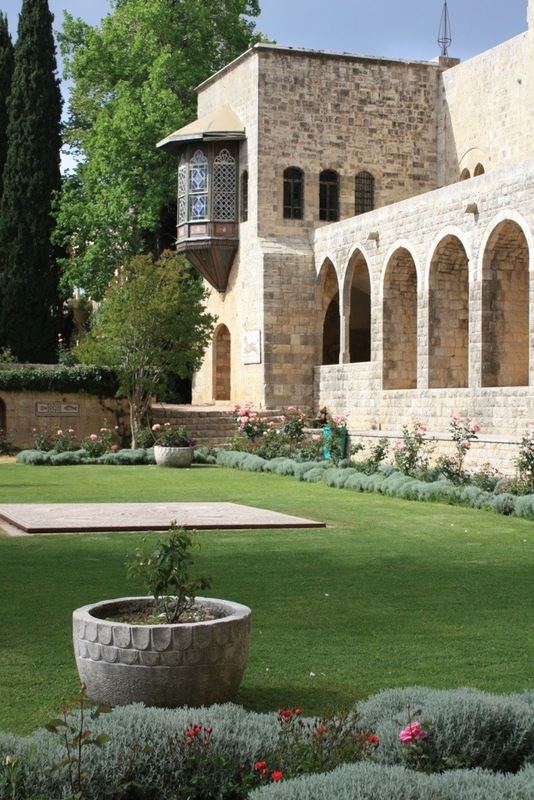 Below, the gardens of the president’s summer palace, Lebanon, May 2010.